The Executive Committee serves as the leadership for the Board of Directors and holds the officer positions of Chair, Vice-Chair, and Secretary/Treasurer as well as Member at Large positions, one of which being the Immediate Past Chairman. This committee’s purpose is to lead the Board of Directors and membership by making recommendations and decisions which align with NBLC’s mission and regional leadership concerning major public policy issues, which are then approved by membership. Craig Nelson, Chairman of the Board of the Nelson Family of Companies and author of God Left Manor Farm, was named one of the 100 Most Influential People in the Staffing Industry by Staffing Industry Review in 2012. Expert in the fields of both staffing and law, Craig has been quoted by a wide variety of news organizations including National Public Radio, the Wall Street Journal, the Associated Press, Staffing Industry Review and the Recorder on a wide variety of topics such as employment trends, recruiting, family businesses, the San Francisco Medical Leave law and California’s Three Strikes law. Having most recently served as the Chief Executive Officer for the Nelson Family of Companies, prior to that, Craig ran Nelson Technology, Nelson & Associates, Nelson Staffing, and Nelsonjobs.com. And before that, was General Counsel at Nelson with responsibility for legal, administration, safety & risk, and human resources. Prior to joining Nelson, Craig spent seven years with the Criminal Division of the California Department of Justice and before that, three years as a litigator with the Law Offices of Bowles and Verna. He has a Masters of Law from the University of San Diego, his Juris Doctor from Hastings College of Law, and degrees in Business Administration and Economics from California State University, Chico. He was admitted to the State Bar of California in 1990. Highly involved in the community, Craig is on the board of the Marin Economic Forum, the Leadership Council of the Boys & Girls Club of Marin and Southern Sonoma Counties and the executive board of the North Bay Leadership Council; he was the Chair of the Executive Leadership Committee of the 2011 North Bay Heart Walk; and he is the past Chairman of the Marin County Workforce Investment Board. Steve Page joined Sonoma Raceway as President and General Manager in 1991 after 11 years working in marketing and special events for baseball’s Oakland Athletics where, among other responsibilities, he served as coordinator for the 1987 MLB All-Star Game. Before entering the sports arena, he spent several years on Capitol Hill as press secretary for then-U.S. Congressman Leon Panetta. He is a graduate of the University of California at Berkeley. Page was the principal advocate for Sonoma Raceway’s $100 million modernization project, which has transformed the facility into one of the premier motor racing venues in the country. Among his activities away from the office, Page serves on the board of directors of Speedway Children’s Charities, the Road Racing Industry Council and the North Bay Leadership Council, of which he is the past chair. He also serves on the advisory board for 10,000 Degrees Sonoma County, the Sonoma Valley Fund and Social Advocates for Youth and is former chair of the Sonoma County Tourism Council. Patricia “Patty” Garbarino is President of Marin Sanitary Service, Marin Recycling Center and Marin Resource Recovery Center and has been since 2000. Patty began her career at Marin Sanitary Service in 1987, in Company Development and Human Resources, a combination that facilitated her learning both the operations and administration of the business. Her background in the education field has been a major benefit to Marin Sanitary Service’s Public Education Program. 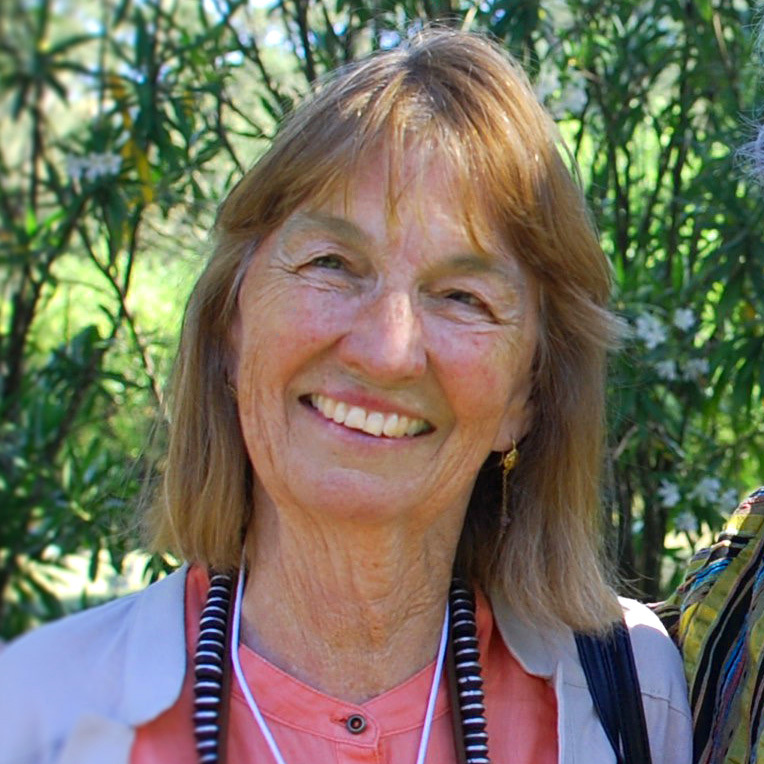 In fact, Patty worked closely with her father, Joseph in establishing the company’s Environmental Classroom and its ongoing outreach to environmental organizations and public and private schools in Marin County. Today Patty is responsible for policy development and implementation and the overall management and oversight of the operations of the company. In addition to her administrative and management responsibilities, Patty remains directly involved in all aspects of the company’s governmental and community relations as well as the Public Education Program. Patty has spoken at several national conferences regarding waste and recycling issues and has been a member to Assemblywoman Delaine Eastin’s California Waste Reduction, Refuse and Recycling Advisory Committee. She was inducted into the Marin Women’s Hall of Fame in 1999 and has been chair and co-chair to 6 different local bond measures and planning commissions. She has a Bachelor of Arts degree and a Master of Sciences degree, both from Dominican College.Marin Sanitary Service, Marin Recycling Center and Marin Resource Recovery Center have been lauded by the California Integrated Waste Management Board as having the highest recycling rate in California since 2002 and the Marin County Board of Supervisors rated Marin Sanitary Service, business of the year in 2006. Founded in 1985, Cornerstone is a leading North Bay commercial real estate owner and development firm. As a respected, successful real estate entrepreneur, Alon has nearly 20 years of diverse experience in shepherding ideas to viability. Alon is the founder of the North Bay Makers, 180 Studios. In this role, he establishes vital connections in the community and encourages forward progress. Alon’s goals are to make 180 Studios the premier facility of its kind, and to ensure maximum economic and interpersonal benefit to the community. Brad Bollinger is the publisher of the North Bay Business Journal overseeing the publication’s coverage of business in the North Bay counties of Sonoma, Napa and Marin. Before joining the Journal after its purchase by the New York Times Co. in 2005, he was the business editor and a columnist for The Press Democrat since 1990. While he was editor, the Press Democrat business section won several national, state and regional awards for its coverage, including six “Best In Business” citations from the Society of American Business Editors and Writers. It has won the top award from the society in 2005, 2004, 2003, 2002, 1999 and 1996 and won for spot news coverage in 2000. Bollinger was a leading editor and creator of the Press Democrat’s extensive four-day series in September of 2004 on the local impacts of economic globalization, “Global Shift.” The series won the prestigious Polk Award as well as the New York Times companywide Punch award. The newspaper’s 2002 series on the wine industry, “Vine to Wine,” received the highest award from the California Newspaper Publishers Association. Bollinger has made dozens of presentations to community organizations and groups of executives on the economy, including the 2006 commencement address for Empire College business school in Santa Rosa. He currently is the chairman of the North Bay Leadership Council and is a member of the boards of directors of the Santa Rosa Chamber of Commerce, the Sonoma County Alliance and Empire College and is trustee on the Ernest L. and Ruth W. Finley Foundation in Santa Rosa. Bollinger has a journalism degree from San Jose State University and master’s in communication from CSU, Chico. His 1983 master’s thesis on newspaper ombudsmen was the subject of articles in Columbia Journalism Review and Editor & Publisher. In 1990, he was among the attendees at the inaugural Summer Institute for Economics for Journalists created by the Foundation for American Communications. Bollinger and his wife, Corine, live in Santa Rosa. 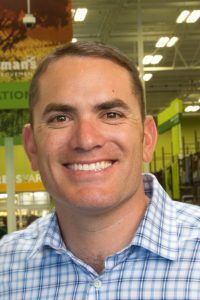 Barry is the third-generation leader of Friedman’s Home Improvement, celebrating over 70 years in business committed to delivering the human side of home improvement. Based in Petaluma, Friedman’s employs over 600 Team Members at it stores located in Santa Rosa, Petaluma, Sonoma and Ukiah. Barry continues to honor the family’s tradition of being both a supporter and active participant in the local community. Barry and his wife Heidi live in Santa Rosa with their four children. 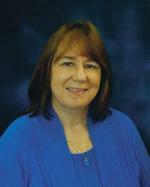 Pat Kendall is the Medical Group Administrator for Kaiser Permanente in Marin and Southern Sonoma County. Pat’s leadership position is operational, strategic, financial, quality, care, service, people and community. Her guiding philosophies are patient, family, staff and physician focused. She often speaks of working in the Intimacy Business believing that seeking Health Care is one of the most intimate things we do in life. In addition, Pat believes in building a healthy community with an upstream emphasis focused across the spectrum of Prevention, recognizing the impact of the social determinants on health. Creating a healthy work place and engaging the leader in all levels of staff is a lifelong endeavor. Pat holds degrees in Nursing, Business, Organizational Development, Human Resources and Leadership. She has completed post graduate work at UC Berkeley and Stanford University. Pat is presently on the boards of North Bay Leadership Council, Healthy Marin Partnership, School to Career Partnership, Marin Economic Forum, Hospice, Marin Sustainable Agriculture and Dominican University School of Natural Sciences Advisory Board. Pat is also a member of the citizen’s oversight committee of SMART, Friends of San Rafael, San Rafael City Schools Advisory Team – 114th Partnership, Marin Workforce Housing Trust and the Pickleweed Advancement Team. Pat is the recent recipient of the North Bay Leadership Award for Leadership for 2012 and San Rafael Citizen of the Year, 2013. Jordan represents shopping centers, property owners, office building managers and developers in landlord-tenant, land use and bankruptcy matters. Jordan has extensive experience in all landlord-tenant disputes involving nonpayment of rent, exclusives, tenant improvements, mechanic’s liens, tenant bankruptcies and post-lease termination collections. Jordan also represents banks enforcing commercial loan agreements. He has trial and appellate experience in state and federal courts. Mark Wood served as Chair of the North Bay Leadership Council Board of Directors from 2012 through 2013. 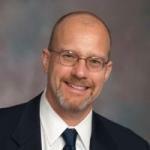 He is currently Consultant & Proprietor at Mark Wood Consulting, providing expertise in HR and organizational performance, as well as serving as adjunct faculty at the Dominican University School of Business and Leadership and the Sonoma State University Executive MBA Program. 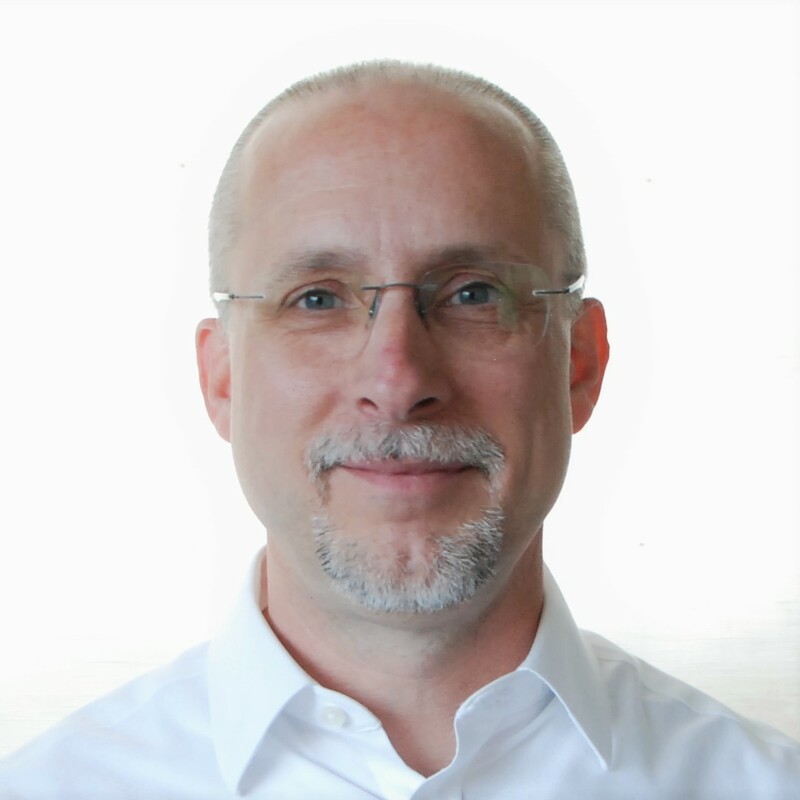 Previously, Mark worked at BioMarin Pharmaceutical for 9 years, serving as Senior Vice President of HR & Corporate Affairs; at AG Consulting, as Vice President of HR & Administration; at Genentech, as Manager of Compensation & Quantitative Analysis; and at Wells Fargo Bank, in various HR roles. 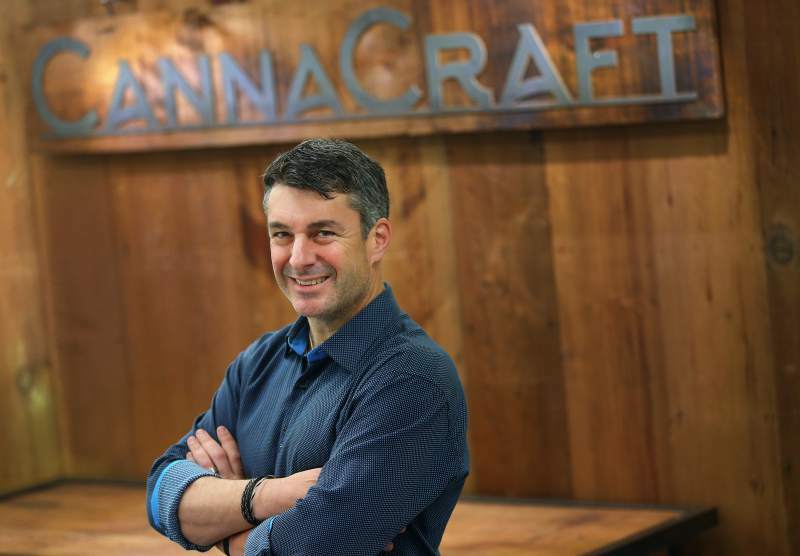 During his tenure at BioMarin, Mark also served a term as Chair of the Marin County Workforce Investment Board. Mark earned a Master of Industrial & Labor Relations from Cornell University and a Bachelor of Arts in Psychology from the State University of New York at Buffalo. Michelle’s area of expertise is GAAP compliant financial accounting and reporting. She serves middle-market, privately-held, family owner-managed, and institutionally owned businesses and publicly held companies. She has experience working with companies in the start-up phase through ownership transition, including IPO. Over the past decade or so, she has spent more than 90% of her time working with wineries, vineyards, real estate entities, négociants, custom crush facilities, wine and spirits distribution companies, natural and organic food companies, and non-wine agriculture. As a result, she has extensive knowledge of the more common and complex accounting issues those types of businesses face. In addition to providing traditional audit and review services, she offers guidance in the areas of business combinations, consolidations, lease accounting, inventory valuation, revenue recognition, and evaluation of internal control. Michelle also has over 10 years of experience in the area of audits of employee benefit plans. 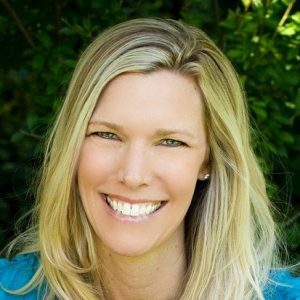 Michelle has served on several boards including as Treasurer for the Napa/Sonoma Chapter for Women for WineSense (2011-2013) and Treasurer and Finance Committee Chair for The Healdsburg School (2013-2015). Since 2009, she has served on the planning committee for the Cal CPA Wine Industry Conference where she has also presented on GAAP accounting and reporting in the wine industry. Michelle has also participated as a speaker at the Wine Industry Technology Symposium and through Sonoma State University’s Wine Business Program. She is active in the Firm’s recruiting efforts at SSU. 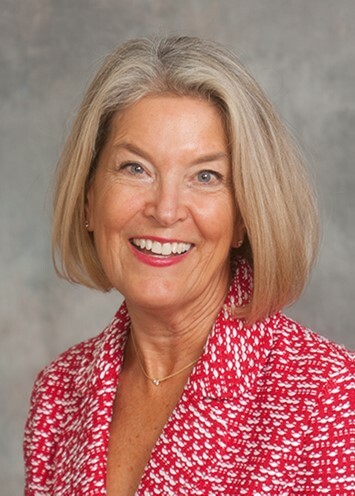 Beldona has served as associate dean of the Graduate School of Business at Bryant University in Rhode Island since 2011. 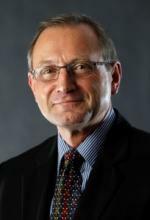 He served as chair of Bryant University’s Department of Management from 2007-2011. An expert in international business and corporate strategy, Beldona has lectured, consulted, studied, and taught in the Americas, Asia, and Europe. At Bryant, Beldona helped in introducing undergraduate and graduate-level courses focused on international business and global finance. He also worked with faculty to create programs designed to expand the school’s global reach and provide students with international study and intercultural experiences. It was Dominican’s commitment to the purposeful integration of the liberal arts and strong professional programs in business, education, and the health sciences that drew Beldona to the University. At Bryant, Beldona helped in launching undergraduate majors in human resources management, entrepreneurship, and global supply chain management. At the graduate level, he worked with area companies and faculty to introduce specializations in global supply chain management, international business, and global finance. He also conceptualized the global immersion experience for MBA students – a required core MBA course for full-time MBA students that embeds an international consulting experience. Working with faculty, Beldona supported integrating highly interactive learning modules such as e-pitch in freshmen year, service-learning in sophomore year, internships in junior year, and case competitions in senior year. He established numerous relationships with local and international firms and encouraged these firms to sponsor prizes for courses, internships for students, and consulting engagements for graduate courses. Beldona was the Larry Jones Fellow of Corporate Governance at Wichita State University from 2001-2007, where he also served as the Entrepreneurship Research Associate for the Center for Entrepreneurship. Beldona joined Wichita State University in 2001 as assistant director of the Center for International Business Advancement. Beldona was an associate professor of international business at the International University of Japan from 2000-2001. He was an assistant professor of international business at Rutgers University from 1994-2000. Beldona received his Bachelor of Science in Physics and an MBA in general management from Karnatak University in Dharwad, India. He earned a Master of Science in International Business and a Ph.D. in Business Administration from Temple University in Philadelphia. 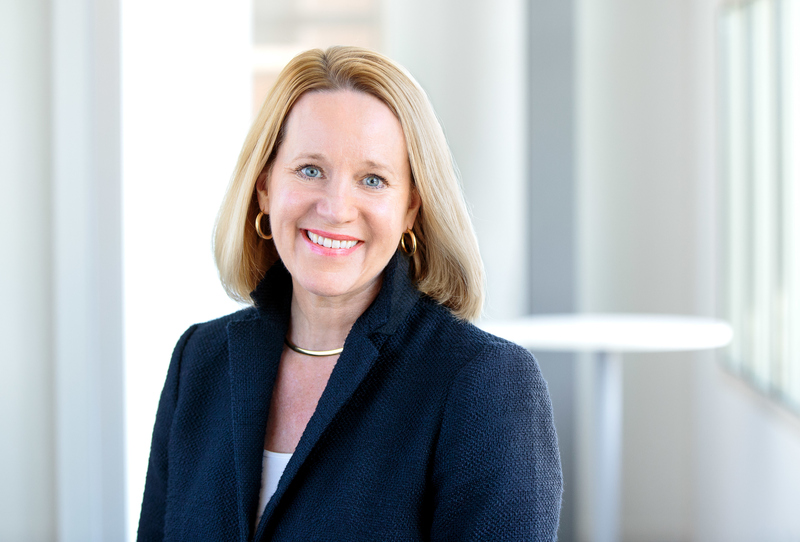 Katie Davis is Chief of Staff to the CEO and President of PG&E Corporation playing a key support role to the CEO and senior leadership team to ensure the Company vision, strategies, and goals are met. Prior to that role Davis was Senior Manager of Public Affairs overseeing a team of Public Affairs Representatives that serve as PG&E’s liaisons to local government staff and elected officials. She has also worked on a number of company-wide initiatives. Davis began her career at PG&E in 2008 as a Public Affairs Representative. She has also served as a Program Manager in PG&E’s Government and Community Partnerships department helping local governments implement energy efficiency and sustainability programs. She currently serves as the Immediate Past President of the Sonoma County Alliance and Board Member for the North Bay Leadership Council. Before joining PG&E, Davis worked in political and land use consulting in the North Bay. In her spare time she enjoys spending time with her daughters Emma and Kaisa and her husband John. In 1981, Nancy Dobbs was chosen to serve as general manager for the Rural California Broadcasting Corporation (KRCB’s parent company), secured multiple FCC licenses and located a transmitter and building site. She organized the raising of funds and the construction of a building to house the station. Finally, after developing a staff, the station began broadcasting in 1984. KRCB FM was signed on in 1994. Nancy continues to lead the organization as President and CEO. Nancy was an honoree at Congresswoman Lynn Woolsey’s tenth annual “A League of Their Own” luncheon celebrating women “breaking the glass ceiling” and is a Distinguished Alum of Sonoma State University. A tireless proponent of public broadcasting serving with California Public Television, Dobbs also serves on the board of directors of Conservation Corp of the North Bay, and as an elected official on the Palm Drive Hospital Board in Sebastopol. Prior to her work in public broadcasting, Nancy worked in the area of health care policy. Included was staff to the California State Legislature Assembly Health Committee, Joint Legislative Audit Committee, and as a gubernatorial appointee to the Statewide Health Planning Council. She also served as an appointee of the Sonoma County Board of Supervisors to the Board of Trustees of Community Hospital where she chaired the Finance Committee. Aimi Dutra is the Director of Community Relations and Governmental Affairs for The Dutra Group overseeing all corporate communications, government relations and community outreach programs for the company. Recently, she successfully led the extensive efforts to secure critical land-use entitlements on behalf of the company. Since joining the firm, Aimi has brought a proactive and hands-on approach to community involvement. As a result of her vision, The Dutra Group has become a leading contributor toward important local causes and non-profits throughout Marin. Aimi has professional memberships with the Engineering Contractors Association, San Rafael Chamber, Bay Planning Coalition and California Marine Affairs and Navigation Conference (CMANC) and sits on the Heads Up Public School Foundation Board. Aimi is married to her husband J.C. Krause and together they have 3 young children. She is a graduate of the University of the Pacific with a degree in Psychology. 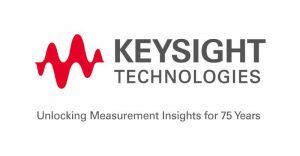 Ingrid Estrada is the CAO at Keysight Technologies. Estrada’s responsibilities include directing Keysight’s global policies and programs for leadership and talent development, compensation, benefits, staffing and workforce planning, human resources systems, education and organization development. Estrada joined Hewlett-Packard in 1990 where she held a number of procurement, order management and order fulfillment positions. From 1995 through 2004, she served a variety of senior management roles in manufacturing, materials, and supply chain management, at both the division and business unit levels at HP and then Agilent Technologies. In 2004, Estrada was named a senior manager of manufacturing for Agilent’s Wireless Business Unit and launched the transformation of the Electronic Measurement Group supply chain. In 2006, Estrada was promoted to vice president and general manager of the Remarketing Solutions Division. 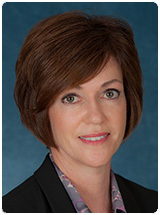 In 2011, she was named vice president and general manager of Global Sourcing for Agilent Technologies. Estrada holds an MBA from Santa Clara University and an Executive MBA from Stanford University. Born in Marin County, Richard Ghilotti graduated from Marin Catholic High School in 1964. 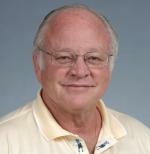 Richard continued his education at Santa Clara University, earning his degree in Finance in 1968. After college, Richard joined his Father, Dino, and Uncle Mario, who both founded Ghilotti Brothers Construction, Inc., and worked his way from an Equipment Superintendent to Manager of all Operations. Following the death of Richard’s father in 1990, Richard and his Uncle split Ghilotti Brothers Construction in 1992. With cousin Jim Ghilotti, Ghilotti Construction Company, Inc. was founded in 1992. Currently managed by Richard and nephew, Brian Ongaro, Ghilotti Construction Company has been headquartered in Santa Rosa for over 10 years, and has grown from a company with revenues of $12.5 million, to a company with revenues in excess of $70 million. Major projects completed include the $50 million dollar renovation of Sears Point Raceway, $20 million dollar site development at the Big Rock Ranch for George Lucas, $16 million dollar Geysers Pipeline project for the City of Santa Rosa (the only 1 of 8 phases completed on time and within budget), and the $10 million dollar site development project at Maycama Golf Club. Richard currently lives in Marin with his wife Nancy and youngest son Dino. His oldest son, Willie, lives in Petaluma and is an Equipment Operator for Ghilotti Construction Company. Richard’s oldest daughter, Michelle, recently married and is currently residing in Amsterdam on a job assignment with her husband. Tri Counties Bank, a $6B in assets community bank, in 26 California counties with 60 branches. Graham joined Tri Counties Bank to develop and manage customer relationships in the North Bay region which includes Sonoma, Napa and Marin counties. She brings over 30 years of experience in banking with a proven record of growing relationships and assisting customers achieve their financial goals. Prior to joining Tri Counties, Julianna was SVP of Western Bankers Association, CEO of Western Independent Bankers and SVP and Cross Director for Wells Fargo in the Wholesale and International Divisions. 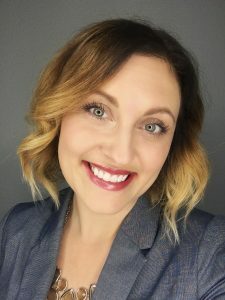 She is currently a faculty member of the Pacific Coast Banking School, serves on the Timothy Murphy School board and is a past board member of the Luther Burbank Center for the Arts and the Sterne School. She has a BS from University of San Francisco, and a MBA in Finance from Golden Gate University. 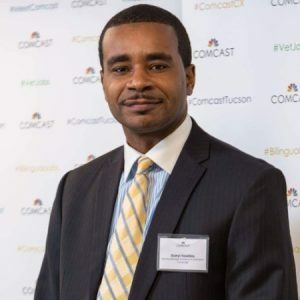 Darryl Hawkins works for Comcast/NBC Universal as the Vice President for the Northeast Bay area of CA. As the Area Vice President his responsibilities include providing leadership for all aspects of the market including Technical Operations, Finance and Human Resources. Prior to his current role he was the Senior Leader for Comcast “Regional Operations” in Southern Arizona, his responsibilities include P&L, External Affairs, Technical Operations, Vendor Management and Sales Performance. 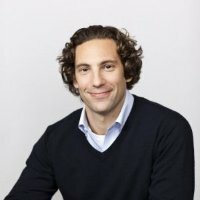 Previously, he spent 18 years at Verizon Wireless, most recently as the Sr. Director Customer Operations PA ($1.2B P&L). Hawkins has more than 20 years of experience in telecommunications and has held various Executive positions with increasing responsibilities since joining Bell Atlantic in 1997. In previous roles he led teams responsible for Service Delivery, Human Resources, Marketing, Contract Management and Sales. Hawkins has a strong passion for the youth in our community. He has developed various internships within Verizon to help provide opportunities to at-risk youth across the country. Hawkins is a United States Marine and a native of Washington, DC. He holds a Bachelor’s of Science in the Administration of Justice from UDC, a Masters of Business Administration (HRM) from Indiana Wesleyan University, and has completed a three year Doctorate program in Organizational Leadership from Walden (DBA – ABD). 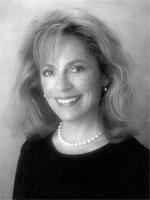 Kathryn Lowell is an executive and Board Member with more than 25 years of experience in the healthcare industry. Kathryn is the Vice President of Government Affairs & Advocacy at BioMarin. In this capacity, she oversees the development and implementation of local, national and global legislative strategy and advocacy. Previously, she was appointed by Governor Schwarzenegger to develop and execute policy and strategic healthcare initiatives. During this time, she developed a partnership with the California Council on Science and Technology to create the Personalized Health Information Technology Coalition. It drew senior executives together to address the challenges of personalized medicine. She also oversaw program and policy initiatives from the California State Department of Managed Health Care and the Office of the Patient Advocate. Kathryn was a Board Member of the California Privacy and Security Advisory Board and a Board Member of the California Telehealth Network Advisory Council. Also prior to her current position, Kathryn was the Vice President for Strategic Growth at Lumetra, a health care consulting firm that specialized in federal health care program management. For six years, she also worked at Maximus, (NYSE:MMS), which is a national government health care services firm. Serving as the Vice President for Government Affairs, she worked with states to partner on Medicaid program management. From 1995 to 1998, she was appointed by Governor Wilson as Assistant Secretary for Health at the California Health and Human Services Agency. During that time, she worked to create and staff the Biotechnology Council for the State of California. In her early years, she worked on Capitol Hill as a legislative analyst for a Member on the House Ways and Means Committee. Kathryn received her undergraduate degree at Stanford University. She received her Master’s Degree in Public Policy from USC, under academic scholarship. For her time in State service, she received a career recognition award and was selected to represent California in attending Harvard University’s Program for Senior Executives in State Service at the JFK School. 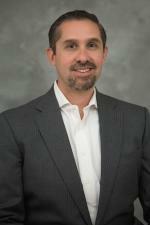 Brett Martinez is President & Chief Executive Officer of Redwood Credit Union, the North Bay’s largest credit union. Mr. Martinez oversees all aspects of the Credit Union, which serves 230,000 Members with $2.2 billion in assets. League’s Annual Meeting and Conference. the Santa Rosa Chamber of Commerce and the North Bay Leadership Council, and he was the Santa Rosa Chamber of Commerce Board Chair in 2012. Over the past four years, Mr. Martinez has received the United Way of the Wine Country Executive Campaign Chair of the Year award, was presented with the “Caught in the Act of Leadership” award by the North Bay Leadership Council, served as co‐chair of the 2010 Start! North Bay Heart Walk and was recognized as the North Bay’s Best Community Business Leader by readers of Northbay biz magazine. Under Mr. Martinez’s leadership and direction, Redwood Credit Union has received the North Bay Business Journal’s “Best Places to Work” award for eight consecutive years and has repeatedly been voted “Best Credit Union” by readers of numerous North Bay publications. tennis, boating and spending time with his family. Meagan Moore currently holds the position as Chief Administrative Officer at the Buck Institute for Research on Aging. She joined the Buck in January of 2016 as Director of Sponsored Programs. In November of 2016, she was promoted to her current role. Prior to joining the Buck, Ms. Moore spent 11 years at the Gladstone Institutes in San Francisco in various roles, including as the head of the Contracts & Grants Department. Although not a scientist by training, Ms. Moore is dedicated to the mission of biomedical research. She is thrilled at the opportunity to continue in the tradition of the Buck as a world renowned leader in the field of aging and age related diseases. Meagan lives in San Rafael with her husband, a Marin native, and their two young children. 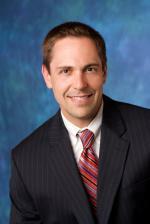 Mr. Perry practices in the areas of land use, real estate and business law. He represents clients before various administrative and planning agencies, including County of Sonoma, City of Santa Rosa, Town of Windsor, City of Petaluma, City of Rohnert Park, City of Sonoma, City of Cotati, City of Sebastopol, Sonoma County Airport Land Use Commission and Water Quality and Air Quality Boards. 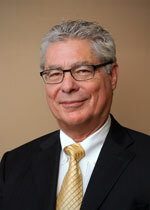 Mr. Perry currently is a member of the Board of Trustees of Memorial Hospital; a member of the Sonoma County Harvest Fair (past president); a member of Santa Rosa Mainstreet Board of Directors (past president); a member of Business Advisory Assessment District (vice-chairman); and a member of the Sonoma County Volunteer Center Board of Directors (past president). Mr. Perry was formerly a member of the Audubon Canyon Ranch Board of Directors; Sonoma County Planning Commissioner 1986-1995, Chairman 1987 and 1992; a member of the Sonoma County Emergency Medical Care Advisory Committee; Sonoma County Energy Advisory Committee; Northern Sonoma County Air Pollution Control Board; Sonoma County Civil Service Commission; member of the Board of Directors of Burbank Housing Development Corporation; Member of the Board of Director of the Sonoma County Fair (past president). Mr. Perry attended the University of Nevada, Reno for two years. He received a bachelor of science degree in economics from University of California, Davis, in 1971 and a Juris Doctorate from the University of California, Davis (King Hall) in 1974. Mr. Perry attended “Mediation of the Litigated Case” at Pepperdine University. 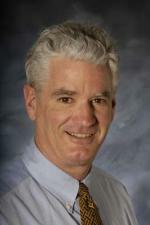 Todd Salnas was appointed President of Providence St. Joseph Health in Sonoma County on July 1, 2012. He joined St. Joseph Health as Chief Operating Officer in September, 2009. Mr. Salnas holds a dual master’s degree in Business Administration and Health Sciences Administration from Arizona State University and a bachelor’s of Science degree in Health Science from the University of Arizona. Mr. Salnas is a native of Milwaukee, WI, and lived in Arizona for more than 20 years before moving to Chino Hills, CA, in 2000. Todd, his wife, Jenny, and their three young children moved to Sonoma County in September of 2009. Silver’s resume is impressive. He is an educator on entrepreneurship and innovation; a published author on a book — “The Way of Zing” — about aligning one’s work with their life; a rainmaker who helped raised $11 million for SSU’s Wine Spectator Learning Center, which will open in May and house its Wine Business Institute; and a consultant and advisor who has served on the boards of the Santa Rosa Chamber of Commerce and Sonoma County Vintners, where he played a major role in luring the county’s signature Taste of Sonoma wine-and-food event to the university’s Green Center last year. Vela has 16 employees in an office that serves public and private companies with annual revenues of $20 million or more. Most recently, Vela served as senior vice president and loan team manager for North Coast and San Francisco offices. Previously with Comerica Bank, Vela joined Wells Fargo in 2011 as a loan team manager. His financing knowledge made the San Francisco regional office one of the top performing teams in Wells Fargo Middle Market Commercial Banking.